Work out any promotional kinks or knots with a custom massage roller ball! 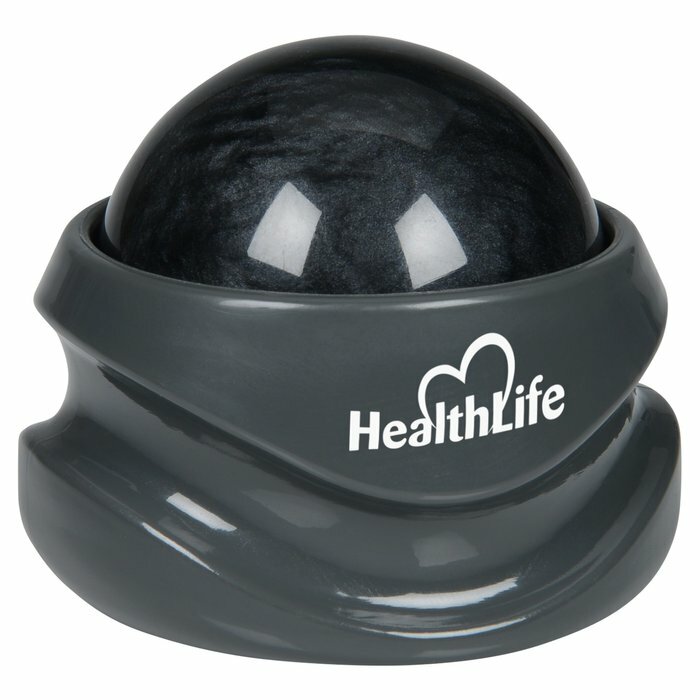 If stretching didn’t seem to loosen up any tight or sore muscles, try your personalized massage roller ball. Ideal for reaching tight spots and rolling the pain out of mucles. The massage roller ball features an easy-to-grip handle, making it easy to roll the ball smoothly around in any direction. Compact and portable, the Everlast® roller ball is small enough to keep in a gym bag or locker. Size: 2-3/8" x 2-3/4" x 2-3/4". Your price includes a one color imprint on the base of the roller ball.